Dr. Hongzhi Li a Senior Research SDE in Cloud Computing and Storage group at Microsoft Research. 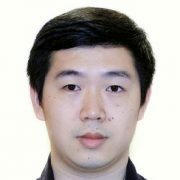 His research interests are mainly in machine intelligence areas, including multimodal content analysis, knowledge extraction and representation, pattern recognition and cloud based computing. His current research is focused on deep learning for visual intelligence and its applications on cloud computing platform. Dr. Li received his PhD degree in Computer Science from Columbia University in 2016. Before that, He received his Bachelor and Master degree in Computer Science from Zhejiang University, China and Columbia University, US, in 2010 and 2012, receptively. Dr. Li has published in ACM Multimedia, TMM, ICMR, EMNLP, NAACL, SPIE and other venues. He is the winner of grand challenge (first place) in ACM Multimedia 2012. Dr. Li severed in program committee of major international conferences, including ACM MM, ICME, IJCAI, etc. He also severed as a reviewer in journals including IEEE TMM, IEEE TCSVT, TPAMI, JVCI, JVIS, etc. In this project, we seek to develop and demonstrate a platform for personalized television news to replace the traditional one-broadcast-fits-all model. We forecast that next-generation video news consumption will be more personalized, device agnostic, and pooled from many different information sources. Generate panorama view in mobile device by taking one photo. Developed a distributed image retrieval system to get an image collection related with user’s input photo. This image collection is used to build panorama view. Parallel computation is used in the cloud to generate panorama view. A predictive cache system is used to speed up panorama viewer in mobile client. A “mobile + cloud” system enabling rapid experience sharing through automatic blogging. Based on multi-modal media content analyses and syntheses. A paper and a demo published on ACM MM’10. Estimate parameters of tree (i.e. height, diameter, etc.) by building a 3D tree model from video clip. Using the method of 3D object surface reconstruction based on point cloud. Build 3D branch model by manually tracking the key point in video. A mobile application which can provide user rich information about the sight he is visiting by taking advantage of a database in the cloud and information from several sensors in mobile phone. July 2013. Paper “News Rover: Exploring Topical Structures and Serendipity in Heterogeneous Multimedia News” was accepted by ACM Multimedia 2013. June 2013. Demo “News Rover” won the Best Demo Award at GNY Multimedia & Vision (GNYMV) Workshop. June 2012. Awarded Brown Institute of Media Innovation’s Magic Grant.